The book emphasizes physical modeling of sound and focuses on real-world interactive sound effects. It is intended for game developers, graphics programmers, developers of virtual reality systems and training simulators, and others who want to learn about computational sound. It is written at an introductory level with mathematical foundations provided in appendices. An enclosed CD contains code examples and sound files. Writing at an introductory level with a sense of fun and exploration, Perry Cook investigates the physics and mathematics of creating sounds in the real world for use in interactive digital settings such as computer games and virtual reality. An enclosed CD/CDROM follows along with the text, allowing readers to listen to the guitar strings, African drums, and squeaky doors that Cook models. 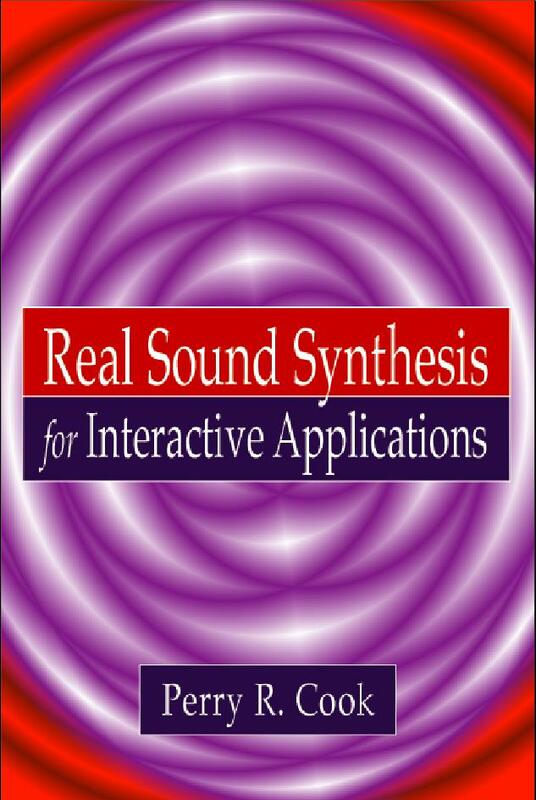 Real Sound Synthesis is a book for anyone who wants to learn about computational sound: Game Developers, Graphics Programmers, Hobbyists, Students. NEW: Stanford CCRMA Course on Kadenze! !